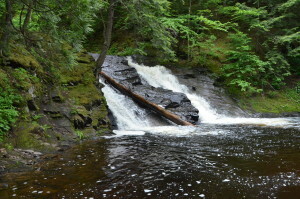 Baraga County is home to more than 25 waterfalls, and over the past few years we’ve enjoyed visiting many of them on our trips to the Upper Peninsula. 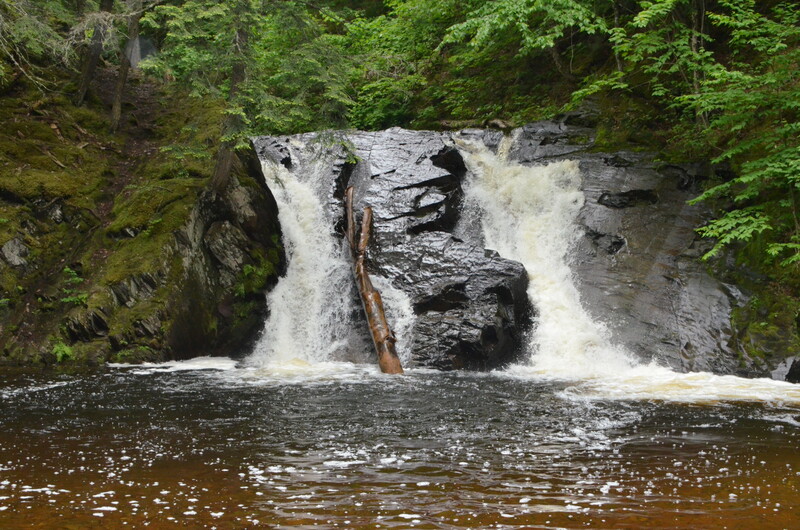 On our June vacation we were finally able to visit Slate River Falls – a waterfall that required a little extra effort to visit but proved to be one of the highlights of the entire trip! 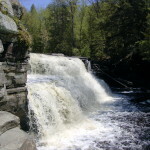 Slate River Falls is an impressive 25 foot drop on this wild and scenic river. The water plunges down at a slight angle before reaching a calm, wide pool below the falls. Below this drop the river narrows again. We had previously made two attempts to reach this waterfall, but this time we found the correct path and could hear the rushing water after a fairly easy (other than a steep uphill start) 10 minute hike. Next came the tricky part: navigating our way down into the gorge. There isn’t a well-defined path so we tried our best to zig-zag down, using tree roots and branches for balance. 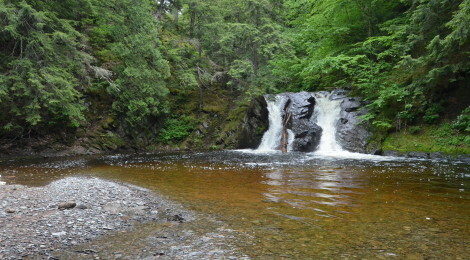 We made it, and had this secluded waterfall all to ourselves. There are several more drops above Slate River Falls that would be worth checking out; we plan on returning with proper gear at some point. After reading from others’ experiences, it sounds like the best way to see these falls is to hike upstream in the river itself. 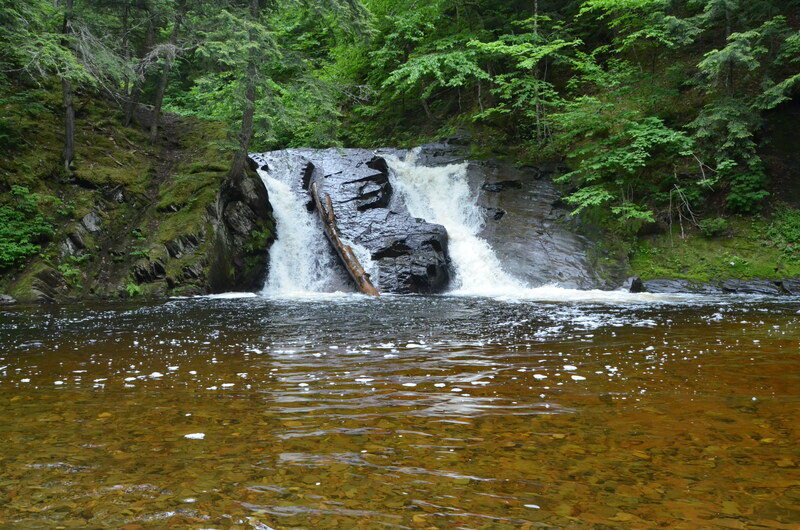 This is definitely a hike for the more adventurous waterfall seekers, and a good pair of boots is a must. 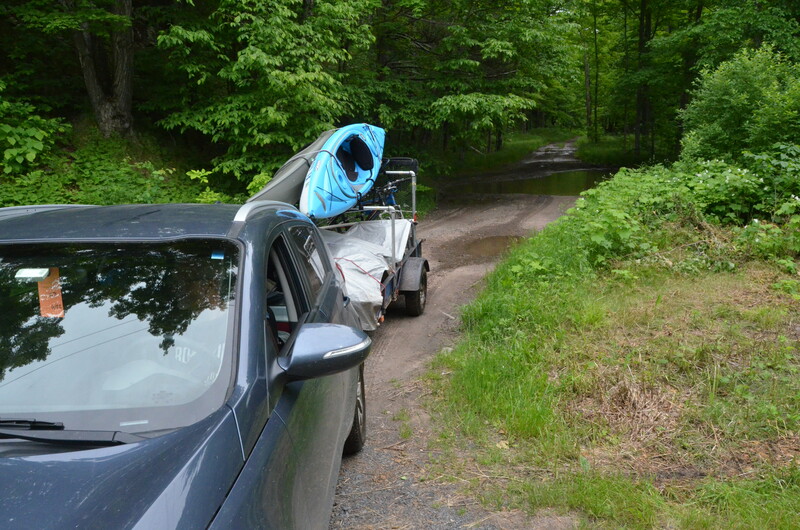 Directions: From L’Anse, take Main St. east (it eventually becomes Skanee Rd.) for about 10 miles. 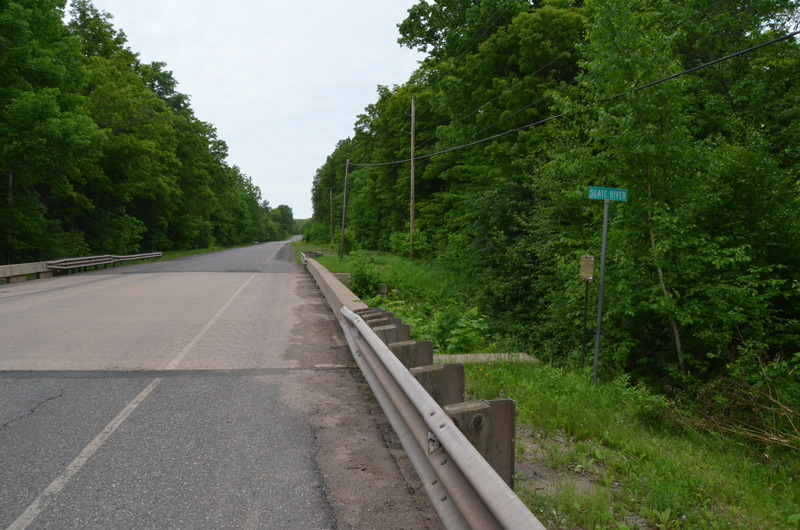 After passing Arvon Rd., look for the bridge over the Slate River and its sign (shown below). The best place to start is the trail road on the right just after crossing the river. This road may be impassable for some vehicles but there is room to park on the shoulder. 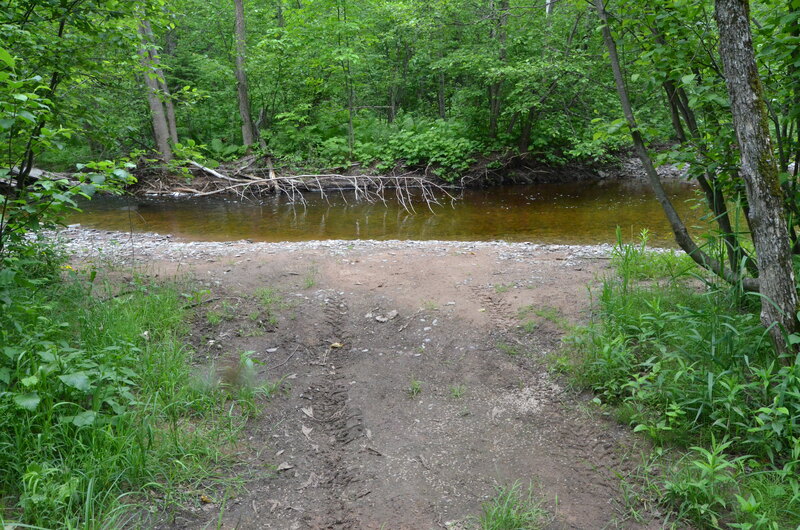 This trail road leads to the Slate River. One set of directions we found suggested crossing the river and following the opposite bank, but we had no success in an earlier attempt on this route. The path you want will follow the east bank up above the river. 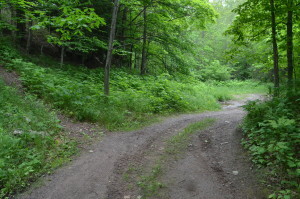 It starts just before the trail road has a small turnaround on the left. 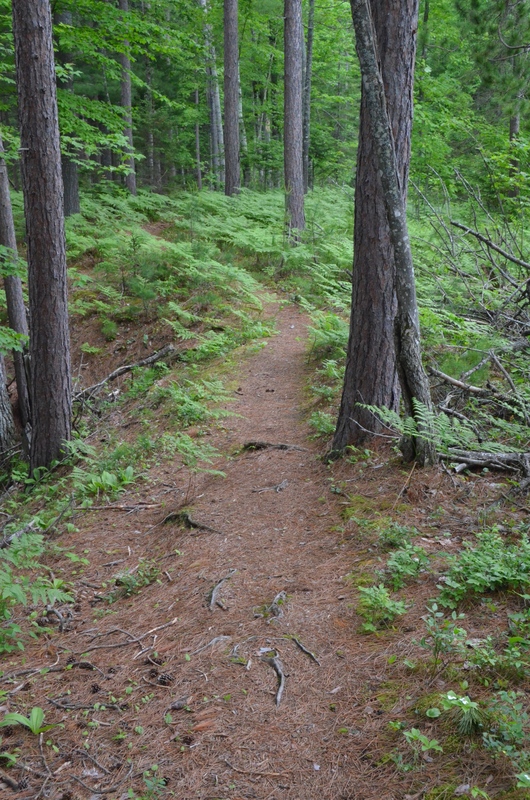 The path is pretty well defined and easy to follow. 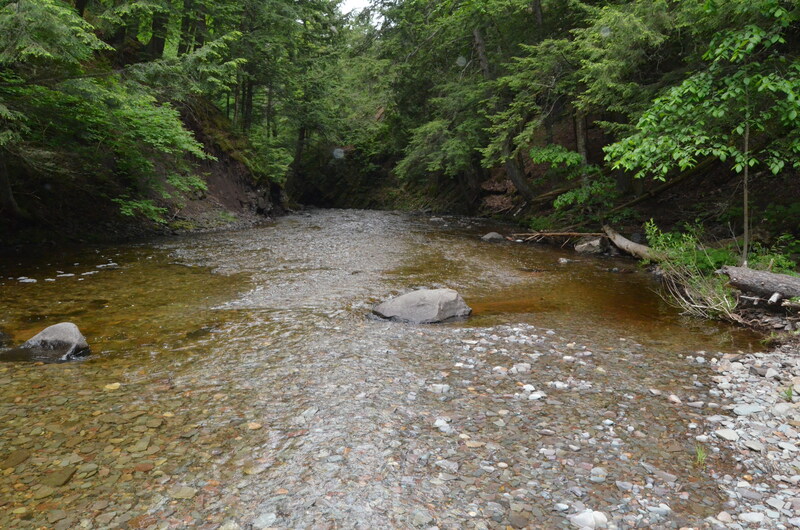 You should be able to see (or at least hear) Slate River Falls through the trees once you get close. From this point, find a safe path down into the gorge and enjoy! 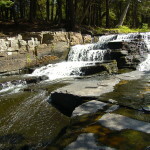 Quartzite Falls and Black Slate Falls are also located on the Slate River a few miles upstream. Silver Falls is a few miles away, and Big Eric’s Falls and the other waterfalls on the Huron River and its branches are located a few miles to the east. 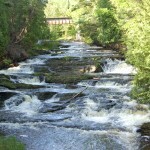 In L’Anse the Falls River Falls and Power House/Power Dam Falls are worth checking out. South of L’Anse you can find Ogemaw Falls and Canyon Falls. 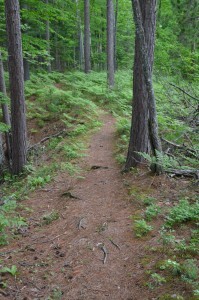 Michigan’s highest point, Mt. 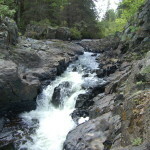 Arvon is located just a few miles from Slate River Falls and is a fantastic spot to stop.